Undergoing a transition from a paper-based office to one that is more conscious of the bottom-line, and environmental tolls, that paper use can have, is an excellent move to make. However, within each organization, there has to be a catalyst for undertaking this process. Sometimes, that can include issues that your organization is already facing; issues that using the right document conversion tools can actually help you solve! Here is a look at five common problems within the workflow operations of companies large and small, and how using the right document conversion tools can help address these issues – setting your organization up for a more successful future. 1. The problem: Your organization is wasting financial resources and those of your employees on the costs associated with printing. In depth: The legacy costs associated with outdated ways of doing business can add up in more ways than one. When it comes to paper, there are a bevy of costs that can drive up your overhead and be felt in your bottom line. Beyond the cost of the paper itself, these can include Costs of printer maintenance – toner and cartridges, repairs; costs of ongoing photocopier maintenance; time spent by administrative staff storing and retrieving documents; the cost of items needed and space taken up to physically store the documents; the costs of associated with mailing or sending hard copy documents; and even things like shredding costs associated with documentation. Possible solutions: The key to reducing paper use within an organization is to provide an easy alternative that is scalable to the needs of your organization. That is where having the right file conversion software, combined with a transitional plan, will make a world of difference. 2. The problem: Employees are converting documents already, but using a mishmash of different tools. In depth: There are no shortage of websites out there that allow for document conversion to PDF, TIFF, or other commonly used formats in the corporate environment. But this array of tools can be problematic for several reasons. For one, many of these free online file converters are less than ideal from a security perspective. If you have sensitive corporate documents or client information, the last thing you want to do is to be uploading that to an unknown, untrusted server. And that can be just the start of issues with untrusted online file converters; some can include watermarks on the outputted documents; many will limit the amount of output options available to you; you might be limited by the manipulations you’re able to do; or it might not support the file format that you’re inputting or you want to output in. Possible solutions: Consider streamlining your file conversion practices by providing your employees with a software tools that can meet all of their document conversion needs. A great way to convert any files to PDF, TIFF or JPEG is to use one of PEERNET’s virtual printers or PDF Creator Plus. You can print any document to these software by clicking File > Print, and selecting that software from the printer list. 3. The problem: Members of your staff are not technically savvy, so new software and protocols can be problematic. Possible solutions: For a successful move to reduce paper in your organization, the process has to be easy. And one of the easiest ways to start converting documents to PDF, TIFF or other common file formats used in the modern corporate world is to make use of a virtual image printer. An image printer installs on your Windows system and functions as a print driver. What this means is that it makes file conversion as easy as can be. A user simply chooses File > Print on their document, like they would if they were printing a document to hard copy paper. Then, the image printer appears as an option on the print menu dialogue. They select it, and the file is outputted as a PDF, TIFF, or whatever particular format they have chosen in that instance. 4. The Problem: There’s little consistency in the format and formatting of the documents that your employees or colleagues are using. In depth: Maintaining a consistent look and feel, from one document to the next – and one viewing device to the next – is critical in establishing a high level of professionalism for your company to your customers and clients. But when the people producing documents are making use of a variety of file formats, you can lose some of that professionalism. The problem can be magnified when document formatting doesn’t maintain from one computer to the next. The issue arises regularly with programs like Microsoft Word. Possible solutions: The issue of inconsistent formatting is solved by converting documents into a graphical-based format like the raster version of Adobe’s Portable Document Format (PDF); or Tagged Image File Format, commonly known as TIFF. Because these formats are rendered as images, the formatting is, consistently, exactly the same from one device to the next. This takes the guess work over worrying if your client will have their margins set the same, or whether that pie chart will be on the correct page that you intended. 5. The Problem: Establishing a consistent system of document conversion seems time-consuming. In depth: If you’re in a large organization, any corporate undertaking can be challenging. And if you’re processing a large amount of documents daily for conversion to the proper format, that in and of itself can take significant time and resources. Possible solutions: Automate the process. Batch document conversion is the best way to go for organizations that require a high volume of files to be changed from one format to another. 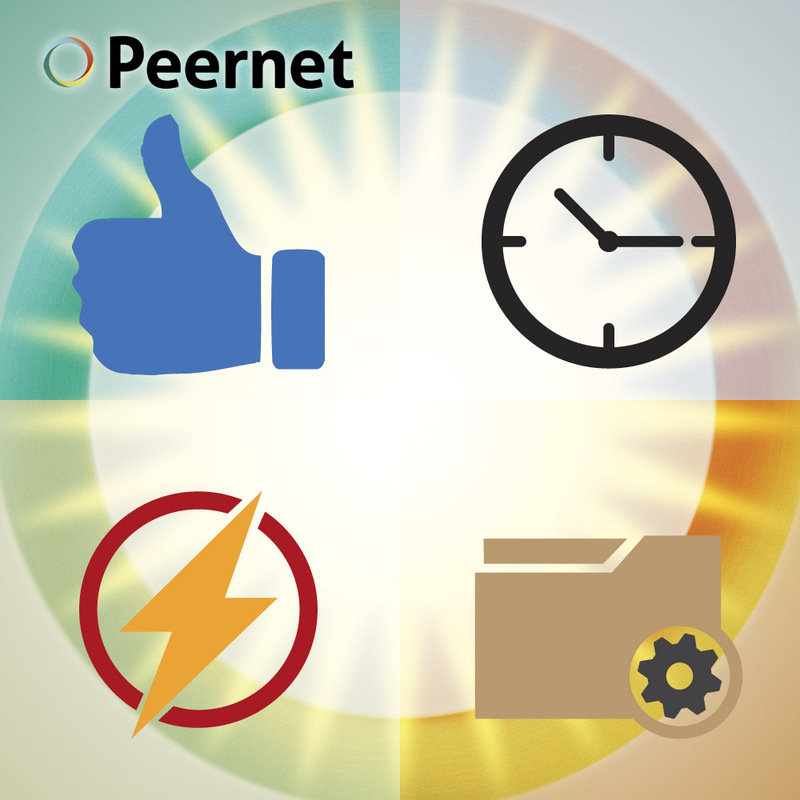 PEERNET offers our enterprise-level Document Conversion Service, built from the ground up for exactly this task. With a little bit of set up and configuration, the process can be completely automated, leaving your employees free to work on the tasks and directives that work towards improving your bottom line, rather than increasing any overhead. What Problems Can PEERNET Products Help You Solve? PDF Creator Plus: A great way to start cutting down on your organization’s use of paper… at a price that won’t break the bank. PDF Creator Plus is built as a cost-effective alternative to Adobe Acrobat, offering the same great features you need to start creating PDF files quickly. Convert to PDF: This product can fill a specific need: for those who need to easily and quickly convert files to vector-format PDF. Vector files offer the advantage of the text being editable and searchable. PDF Image Printer: Helps your company start converting documents to PDF as quickly and easily as possible, in most cases. This tool allows PDF to show up as an option on the standard Windows print menu. For organizations that want to make the transition to paperless as painless as possible, and want to utilize the raster PDF format to get there quickly, this is a great option. TIFF Image Printer: Same as above, but for outputting to TIFF rather than PDF. This is the virtual printer you need if you require an on-demand TIFF conversion option. Quick and easy to use, with the functionality you require. Raster Image Printer: This is a highly functional, and easy-to-use tool that allows you to present your clients with consistently formatted documents each and every time. Raster Image Printer is an all-in-one solution that handles both TIFF conversion and PDF conversion (and can also output files in JPEG format). Essentially functions as a combo of PDF Image Printer and TIFF Image Printer. A great option for organizations who rely on multiple document format conversions, on-demand. File Conversion Center: For users or organizations who require a range of options, this desktop application allows for batch conversion of documents, on an on-demand basis, to PDF, TIFF and JPEG file formats. Additionally, we’re always happy to lend a helping land. Just get in touch with us to let us know what problems your organization is having trouble with, and we’ll get back to you to let you know how our document conversion tools can help solve your needs.